Rwanda and Uganda are both found in the Eastern part of the African Continent bordering each other, they are mostly known for Mountain gorilla trekking safaris since there are the mostly known Gorilla hosting destinations in Africa plus Democratic Republic of Congo in the Central part of Africa which hosts both Mountain Gorillas and the Eastern Lowland Gorillas. When you compare Rwanda’s Mountain Gorilla trekking and that of Uganda in the past years it was at a high rate than that of Uganda yet the prices of permits for Rwanda were still higher than that of Uganda but the main influential factor was the shorter distances taken to reach Volcanoes National Park of Rwanda where Mountain Gorillas are found which takes about 2-3 hours when compared to that of Uganda which takes 8-9 hours to drive from Kampala up to either Bwindi Impenetrable National Park or Mgahinga National park in the Western part of Uganda. But this influential factor lost capacity when Rwanda Development board decided to increase the prices of their Gorilla trekking permits from $750 USD up to $1500 USD per person which left most of the Visitors to Rwanda with interest of seeing Mountain Gorillas unsettled claiming to be too expensive since the price was doubled but this did not stop them from looking for other options and Uganda was the first priority, below are some of the points indicating how Uganda gained from Rwanda’s great increment in prices of their permits. Increase in Gorilla trekking. 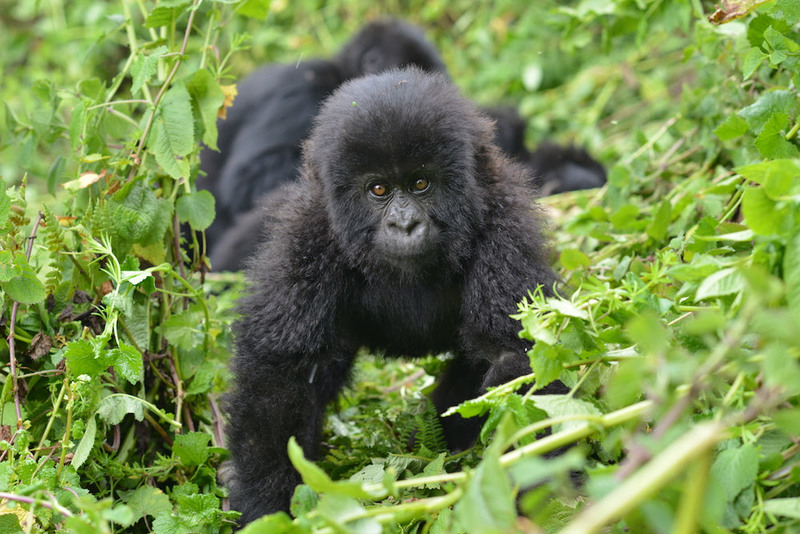 In the past years Uganda’s gorilla trekking was at a low rate but after a great increase in Rwanda’s Gorilla trekking from $750 USD up to $1500 USD per person terminated the all situation reversely which showed Rwanda’s Gorilla trekking to be appearing on a high diminishing rate. First Choice places to Visit in Africa for wildlife & primate safaris. Since Rwanda and Uganda are bordering each other it’s very easier to cross borders and this is what every visitor to Rwanda interested in seeing Mountain Gorillas is resorting to crossing borders via Cyanika or Katuna up to either Bwindi impenetrable National Park or Mgahinga National Park for the Mountain Gorillas neglecting the expensive and luxurious permit of Rwanda and grab Uganda’s permit which costs $600 USD per person. When you compare yourself with a person who has trekked Gorillas in Rwanda it is cheaper as for you can do a double Gorilla trekking and even remain with a balance of $300 USD if you decide to use the same cost imagine in your budget. Increase in Number of tourists. Since gorilla trekking was the main activity done in Rwanda, visitors to Rwanda did other activities on behalf of Gorilla trekking but since now most of the Visitors are resorting to Uganda’s Gorilla trekking they also decided to phase out with other activities like Golden Monkey tracking, chimpanzee tracking and more done in Rwanda since Uganda also has these activities on its list done in its top ten National Parks, after this influence most of tourists are flying to Uganda or land in Rwanda at Kigali airport but cross borders to Uganda which has boosted more number of tourists to Uganda’s major touristic destinations. What’s discovered is that Uganda has more varieties of different Wildlife Primates and Species than Rwanda. Getting Exposed. After a great boost of more tourists to Uganda’s top major destination there are discovering more of the attractions on Uganda’s list but not found in Rwanda which reflects good reviews and recommendations by the already visited travelers to those who would wish to visit Africa but not yet decided where to go, other destinations like Kidepo Valley National Park, Lake Mburo National Park, Semliki National Park and more are getting introduced to most of the newly registered travelers in influence of Gorilla trekking and what entertains is that they even gain more interest through showing their positive impressions claiming to have been missing the excitement offered to them for the first time. Increase in Accommodation rates. Since you have to sleep while on your travel vacation so it’s a must to include the accommodation rates in your budget therefore as Uganda is receiving more tourists to its destinations, lodges, hotels, restaurants, inns, motels and more are also some rates on their accounts which at the same time generates some revenue to the economy. It is also a great influencing factor as far as employment opportunities. Therefore, for all travelers interested in seeing the shy endangered Mountain Gorillas in the mist, Uganda strategically located in the Eastern part of the African Continent is the best place to go for cheap gorilla trekking safaris proudly offered by Nature Adventure Uganda. Visit Rwanda Tourism Guide is a comprehensive online directory guide for Rwanda tours and travel. Every Rwanda accommodation, attractions, tours and transport business is found here together with visitor holiday information for both international and local travelers. Copyright © 2017 Visit Rwanda.